Lifescapes meets the 1st and 3rd Wednesday of each month. 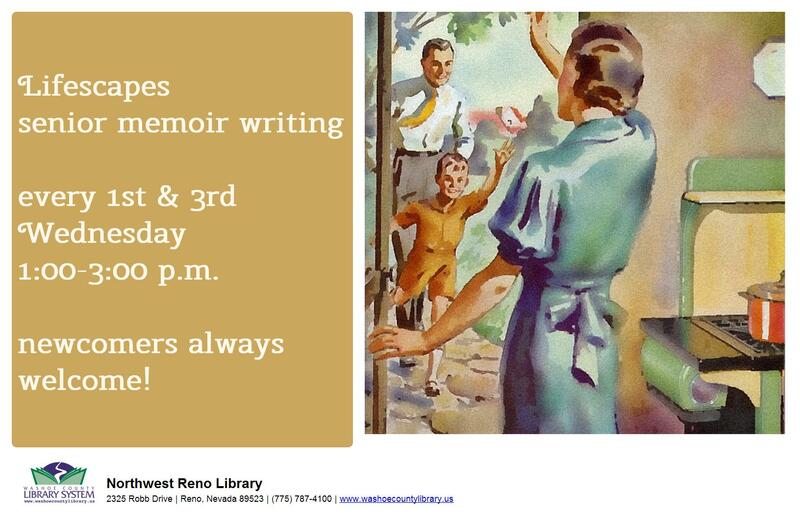 In this program, Seniors are given an opportunity to write and share their memoirs. New members are always welcome. Lifescapes is a project sponsored by the Washoe County Library System, Osher Lifelong Learning Institute (OLLI), and the Department of English at the University of Nevada, Reno.